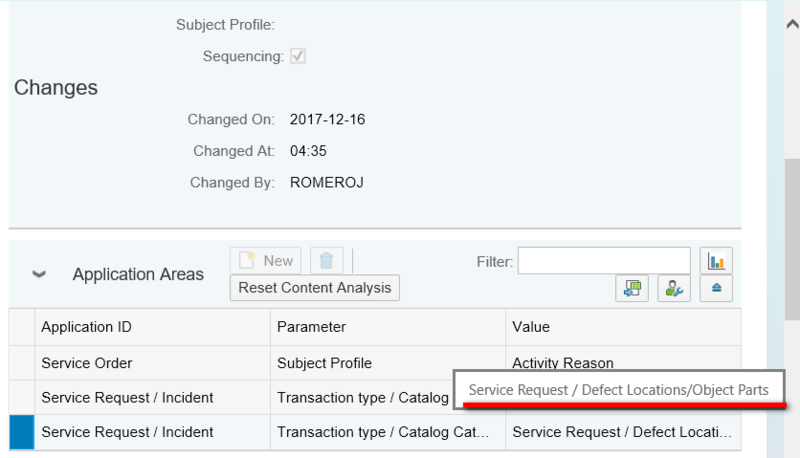 In my project I need to create new service request by code with its subject data filled. As a result I need to figure out how to fill the required data by calling function module CRM_ORDER_MAINTAIN. I share my code here in case you have the same requirement. 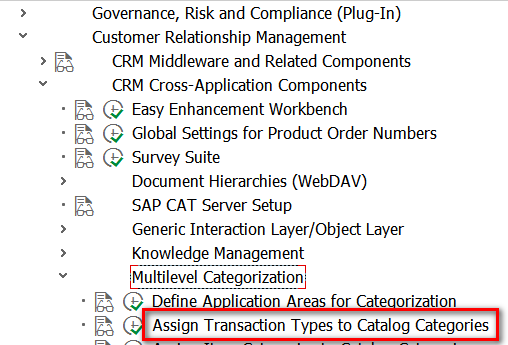 In Application Areas assignment block, this schema must have corresponding combination of Transaction type and Catalog Category maintained. We only need to specify a single category ID in our code, and all its parent node in the schema tree could automatically be filled as expected by WebUI. cat_type TYPE crmt_srv_subject_com-katalog_type OBLIGATORY DEFAULT 'D'. ls_subject        TYPE LINE OF crmt_srv_subject_comt. ls_service_os = VALUE #( ref_guid = lv_guid ref_kind = 'A' ). APPEND LINES OF lt_osset TO ls_service_os-osset. WRITE: / 'Service Request created failed'. WRITE: / 'Service Request created successfully, id: ' , ls_saved-object_id. Very nice! I love the screen and code examples. Few weeks ago I created a similar one to generate Interaction Records by code and I also generated them with categorization (still unfinished… need to create transcripts of interactive scripts. Working on it next week). Maybe I can write a blog post as well sharing the complete code when it’s complete. BTW, as Michelle stated above, your Service Request screen seems pretty nice. I’m using CRM 7.0 EHP 3 and I don’t have such theme.